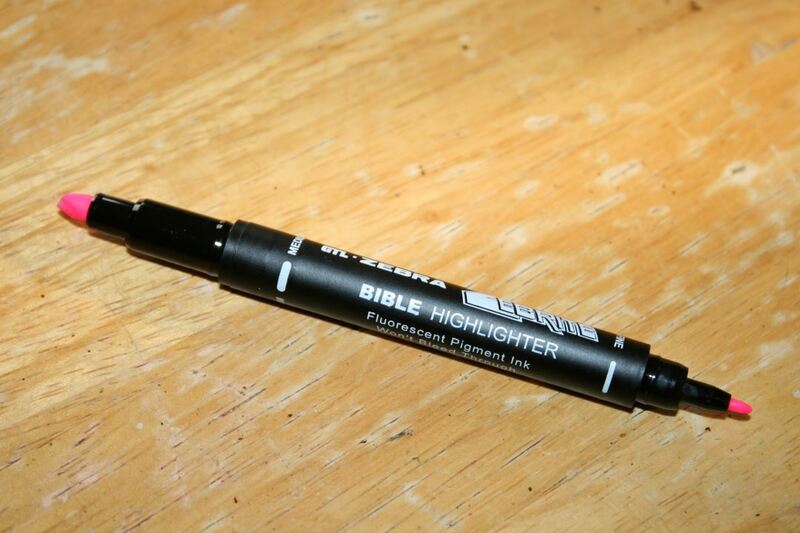 I’m a fan of Bible marking kits. 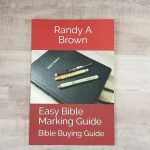 They provide markers, pens, penciles, or highlighters that have already been tested on Bible paper or are specifically designed to mark in Bibles. 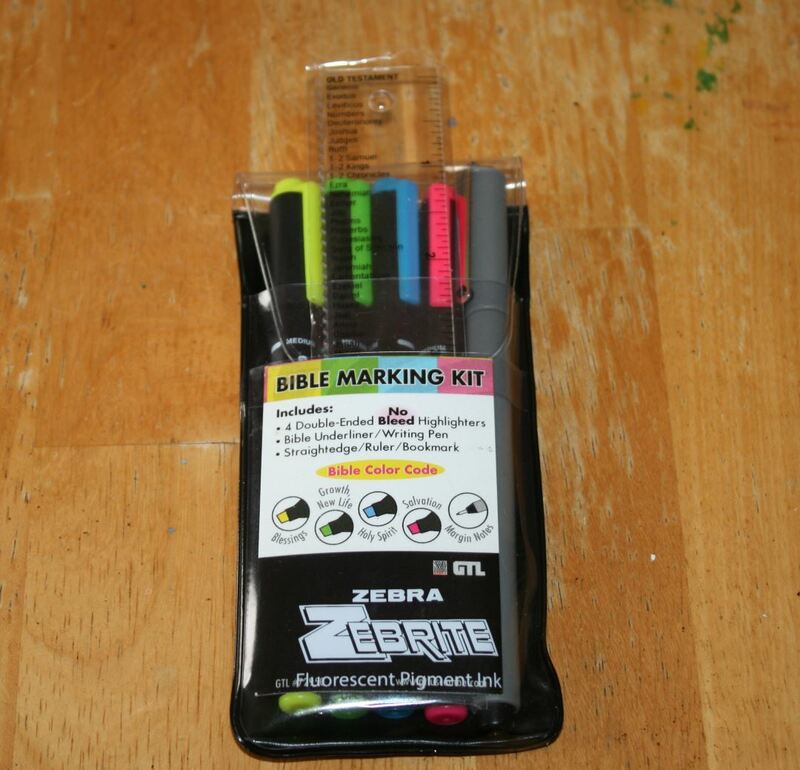 The latest set that I’ve used is the Zebrite Bible Marking Kit. The kit comes with 4 double-ended highlighters, 1 pen, and a 6 inch ruler. 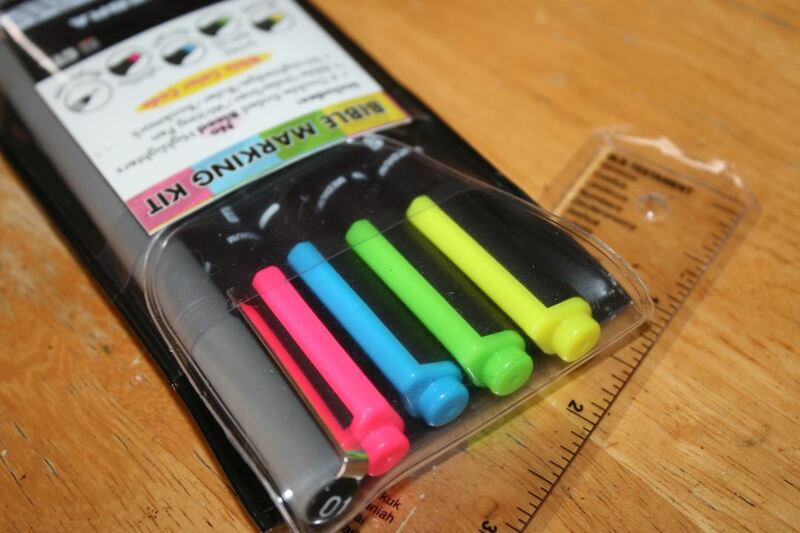 It comes in a case that fits perfectly in a shirt pocket and even has a small pocket for the ruler so the flap will close over the highlighters. 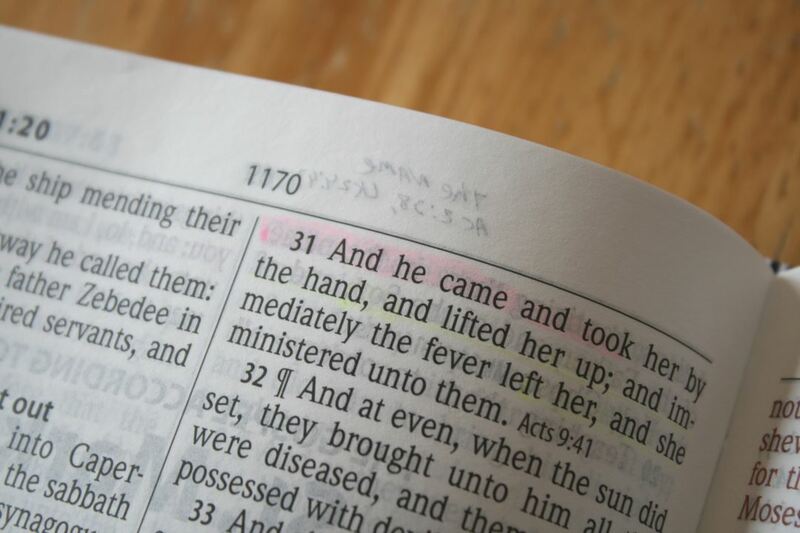 The packaging includes a suggested Bible color code and shows that the pen is used for marginal notes. 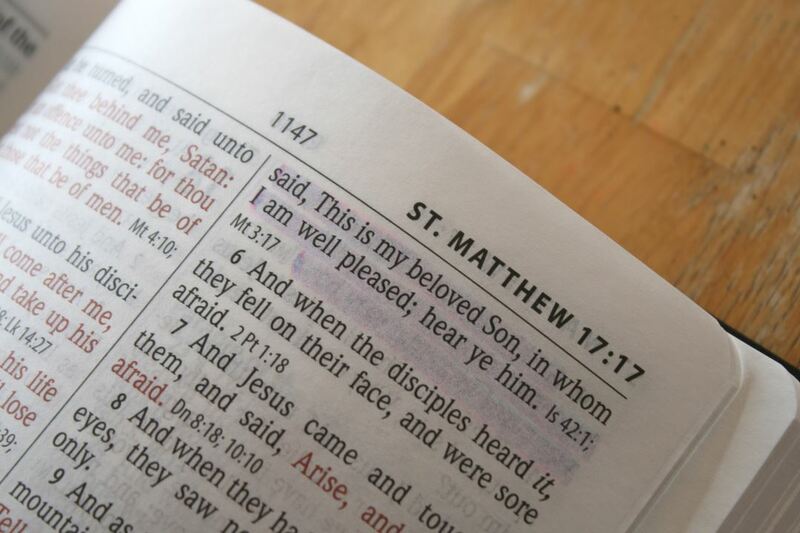 Here’s a look at how the kit performed in my Hendrickson Personal Size Giant Print Bible. 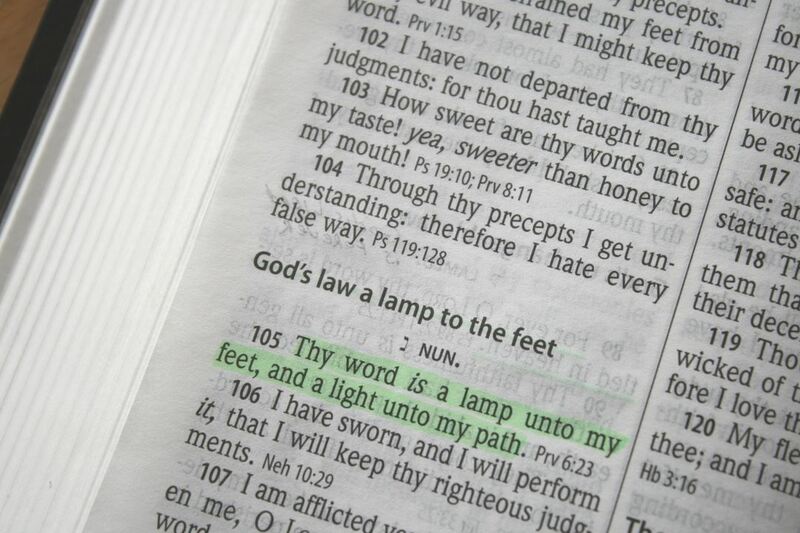 The Zebrite highlighters use fluorescent pigment ink that doesn’t bleed through Bible paper. 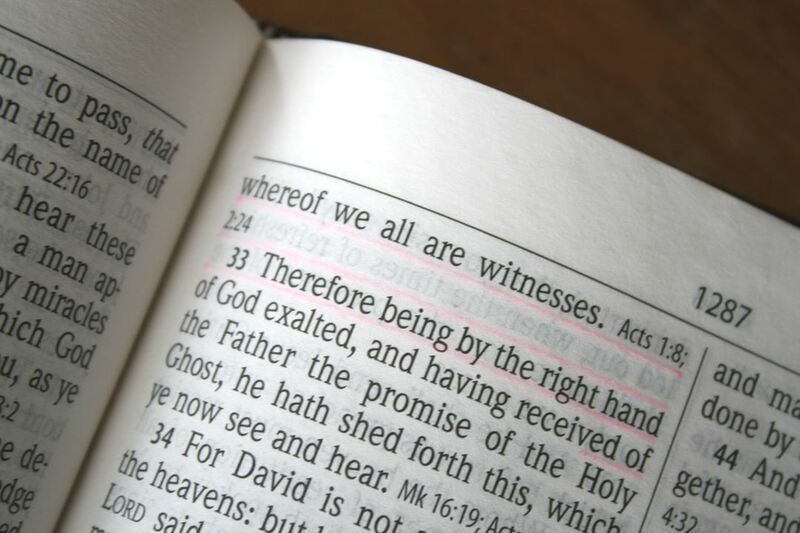 There might be some show-through (the amount depends on the paper), but it won’t bleed through (soak through the page). They include four colors: yellow, green, blue, red. They live up to the ‘bright’ in their name. I love the shades of color and how bold they look. They’re bright but not overdone. You can blend them, but I think that would be extra careful to get them to look good. They’re double ended with a fine and medium point. The fine point is sharp while the medium point is chiseled. 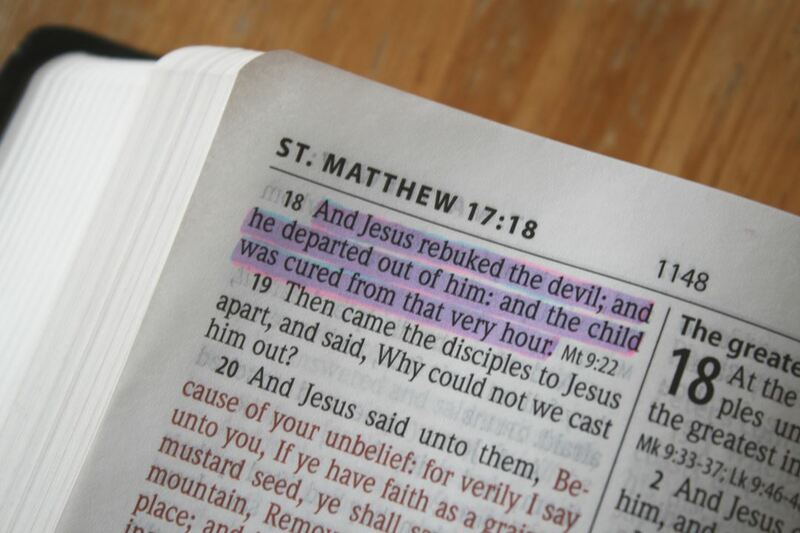 This opens up some marking possibilities to highlight, underline, draw boxes around the text, etc. 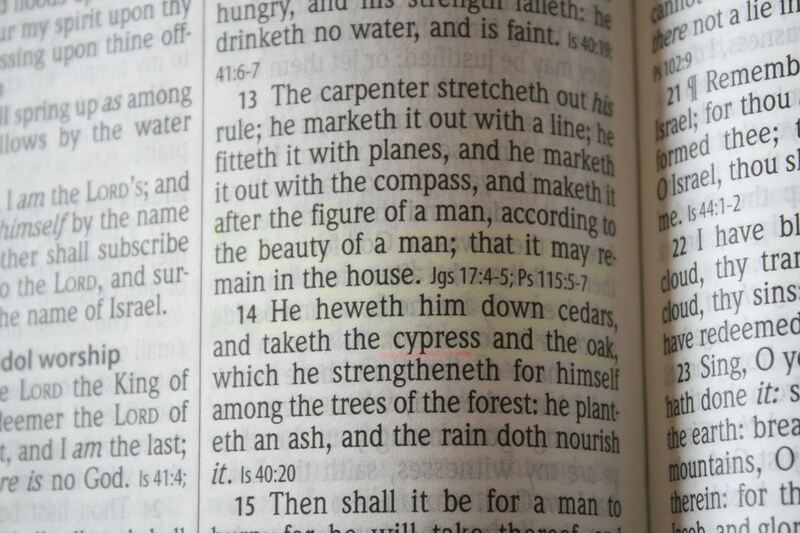 Having two different tips allows me to highlight with my favorite method to underline a verse and highlight the keywords. 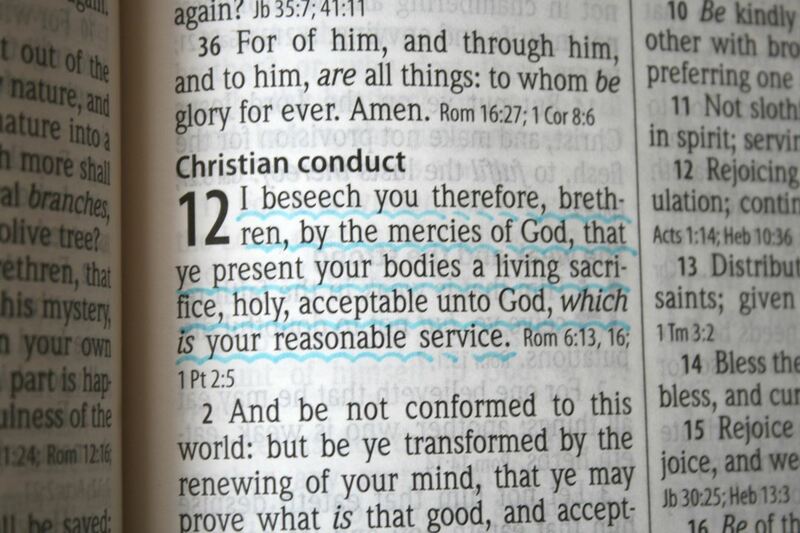 Underling and highlighting is smooth. You have as much control over the highlight as you want. 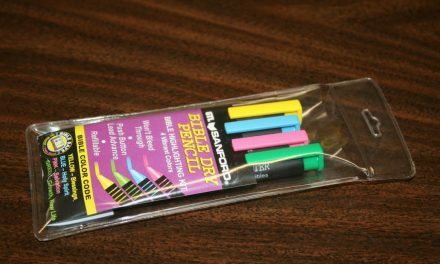 You can go quick and just have the color on the page, or you can slow down and create straighter lines with smooth coverage. 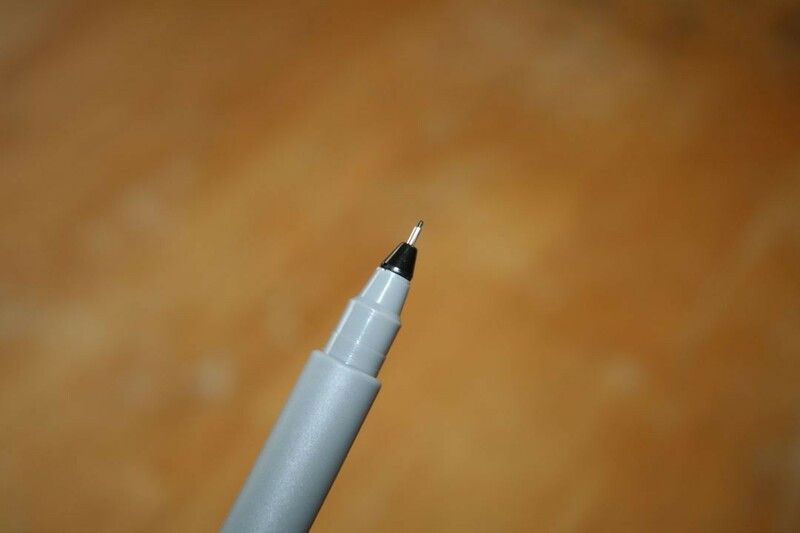 The pen is a Zebrite MilliPEN 01 with water-soluble ink. The 01 tip is very fine and is perfect for notes. It’s easy to hold and write with (pay no attention to my terrible penmanship, this wasn’t the fault of the pen 🙂 ). The show-through is minimal. 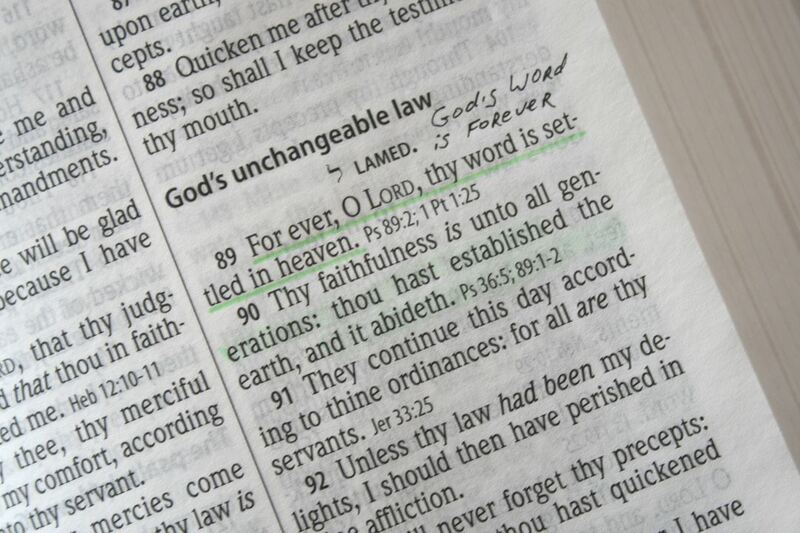 It left just enough indention in the paper to notice, but I wasn’t being that careful when I wrote with it. 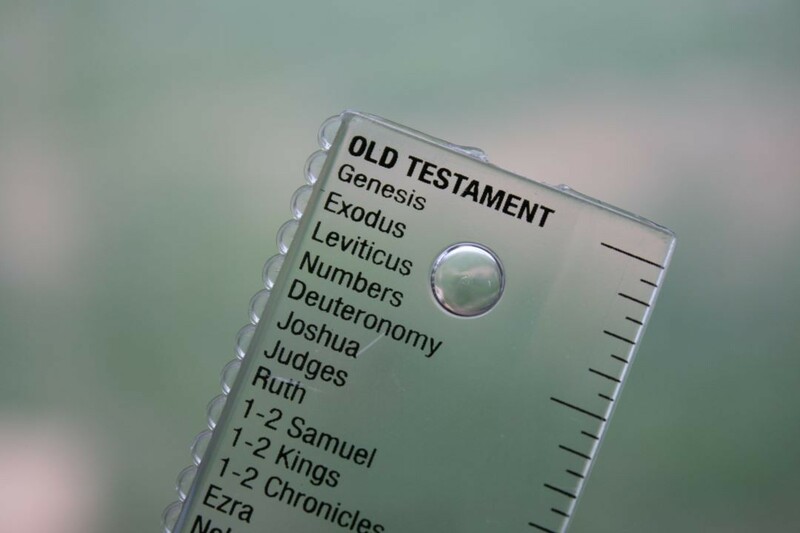 The Bible ruler includes a list of all the books of the Bible in biblical order, listed under Old Testament and New Testament. The straight edge is excellent for drawing straight lines when underlining the text or for use as a template when writing notes. The package also recommends using it as a bookmark. The ruler has a ridged edge that creates an interesting underlining effect. I like the look a lot. It stands out nicely. 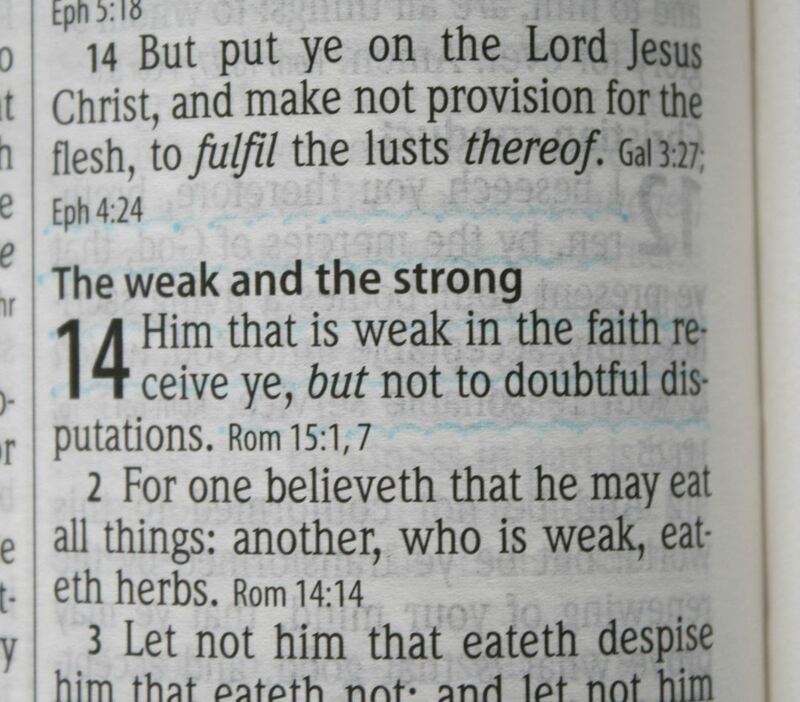 It isn’t too difficult to use this way but I think I would use it more sparingly than the straight edge. I didn’t try it, but it would look great as a box around a passage. 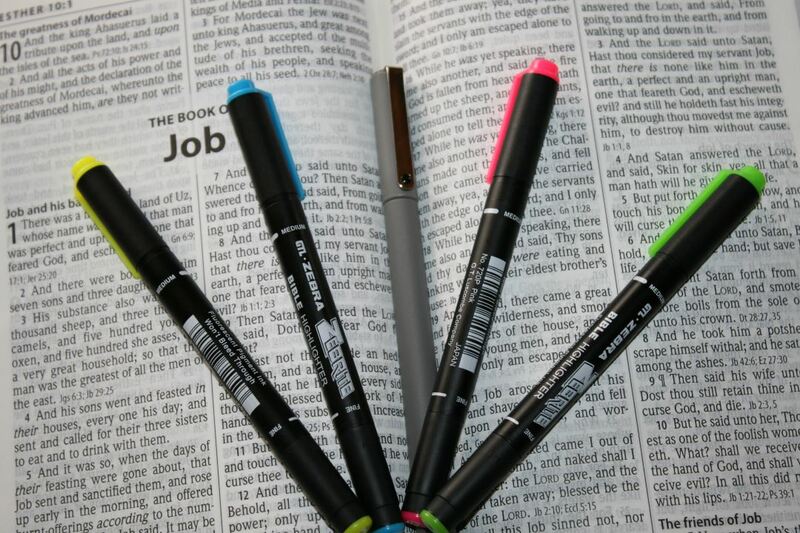 The Zebrite Bible Marking Kit is an excellent kit for marking. It only has 4 colors, which could be a problem if you like lots of colors like I do, but the 4 colors are bright and look amazing on the page, and they’re easy to use. 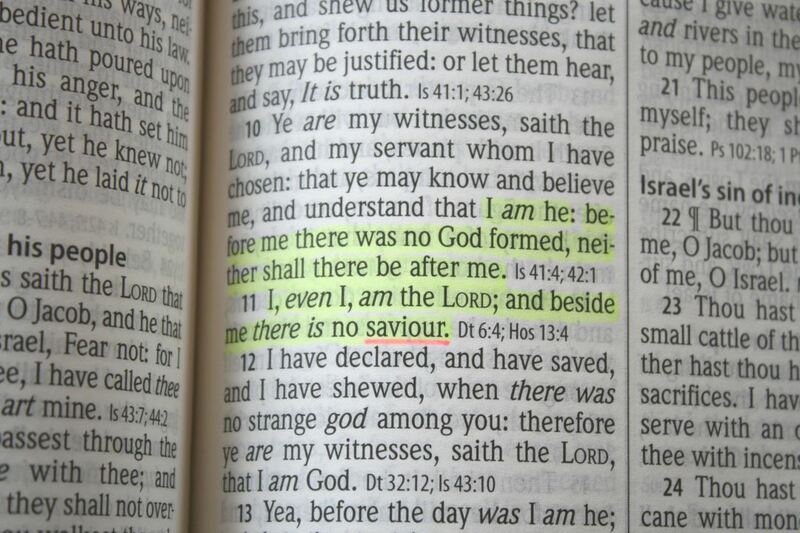 I love that it has both a fine point and medium point for each of the highlighters. 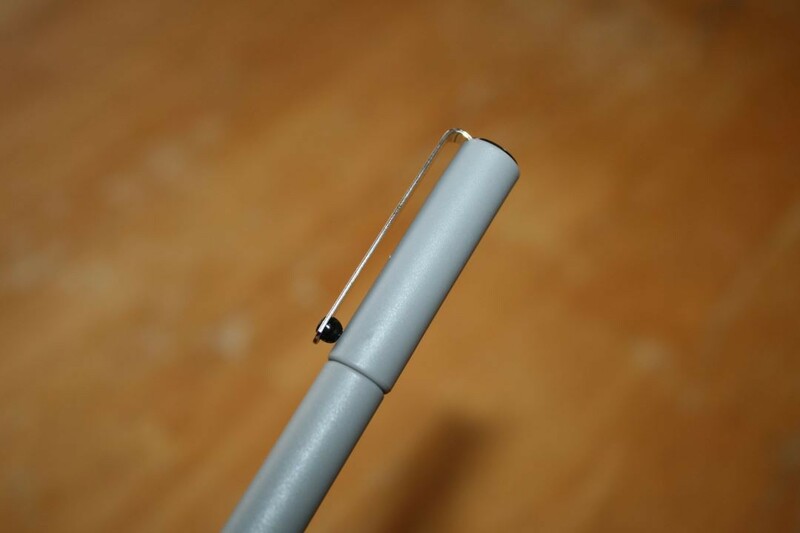 The shaft of the pen is thicker than Pigma Micron and in my opinion is easy to hold for writing. It writes smooth and clean. I didn’t give the highlighters or the pen time to dry before turning the page and they never smeared onto the opposing page. 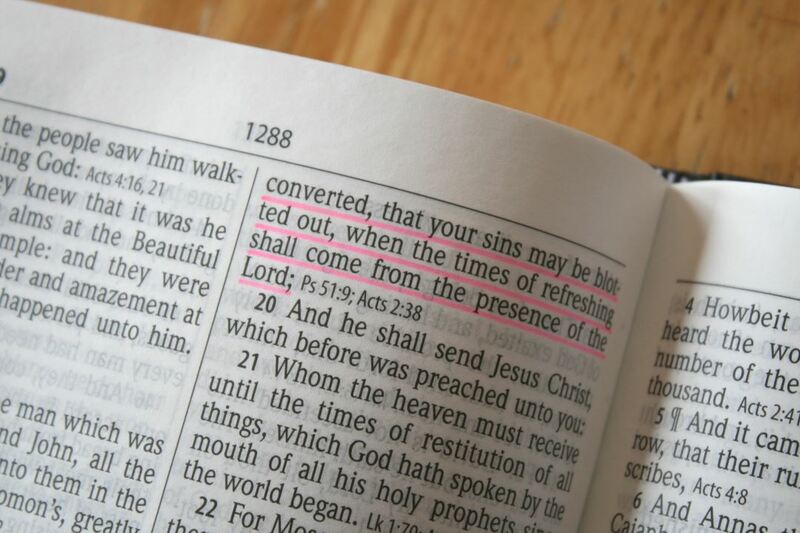 I even rubbed my fingers across the paper a few times immediately after writing or highlighting and it never smeared. 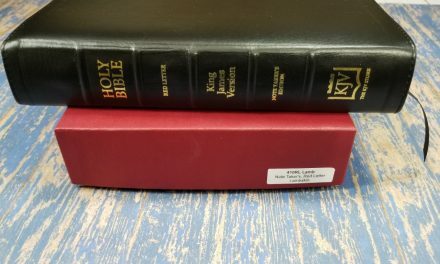 I did all of the marking while holding the Bible in my lap (or to one side of my lap with a kitten on the other side), and it was fairly easy to get a straight line with the ruler. 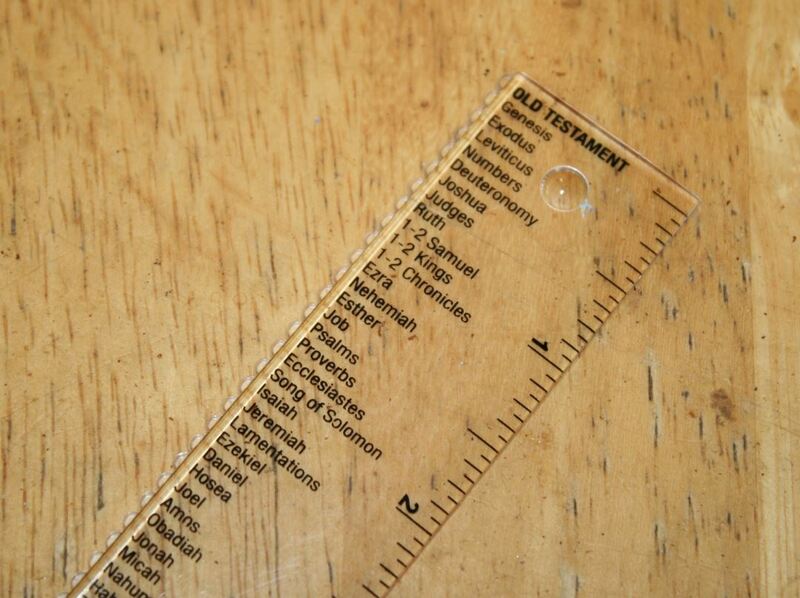 I’d love to have a flexible ruler (I had one years ago that came with a Bible cover, but I haven’t seen one since then), but this might be a better choice for underlining because it’s thicker material. It is slightly flexible, but I wouldn’t mind if it was a touch more flexible. 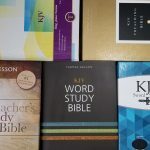 I don’t have any complaints Zebrite Bible Marking Kit. A couple more colors would suit me fine, but 4 colors can do a lot and it is possible to blend them if you’re careful enough. 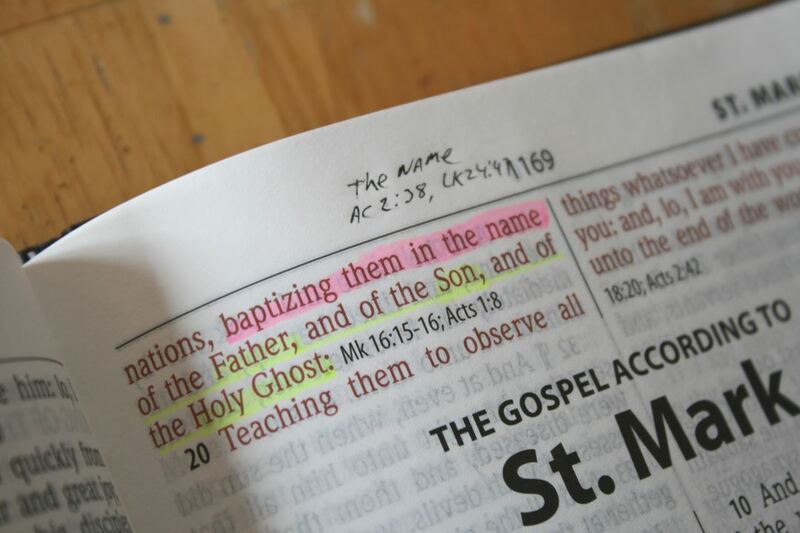 I highly recommend the Zebrite Bible Marking Kit. G.T. 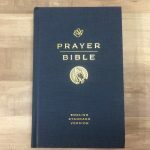 Luscombe provided this Bible marking kit free for review. I was not required to give a positive review – only an honest review.